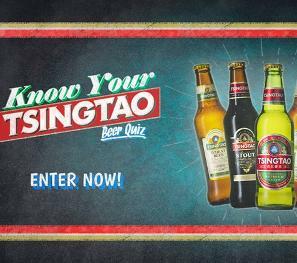 Prize: A selection from the Tsingtao beer family - free IPAs, stouts, pilsners, wheat beers and more! What you must do to enter: Simply enter the quiz and answer the multiple choice questions for a chance to win! Statistics: This contest was opened by 102 and entered by 8 ContestChest.com members. 8% of those who opened the contest, entered it.